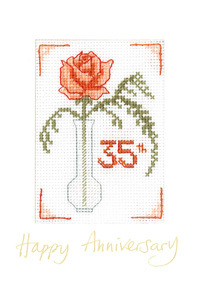 The Rose Coral Anniversary card has a single coral coloured rose with fern in a stem vase. 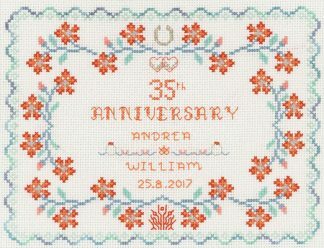 Glitzy coral metallic thread is added to the numbers to add pizzazz. The water in the vase appears reflective due to the use of a pearly filament thread. 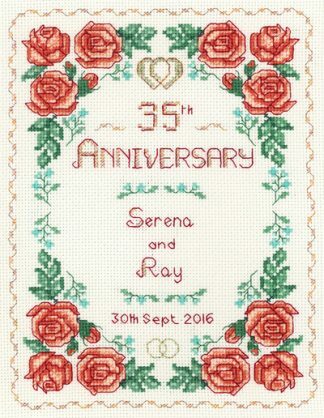 This Rose Coral Anniversary card is designed by Lauren Turner for the Decorative Textiles collection.